I’m back with another in my series on Breaking The Mould – helping you to sidestep tradition for tradition’s sake and find some awesome alternative suppliers for every aspect of your wedding. Today, we’re looking at your wedding flowers. 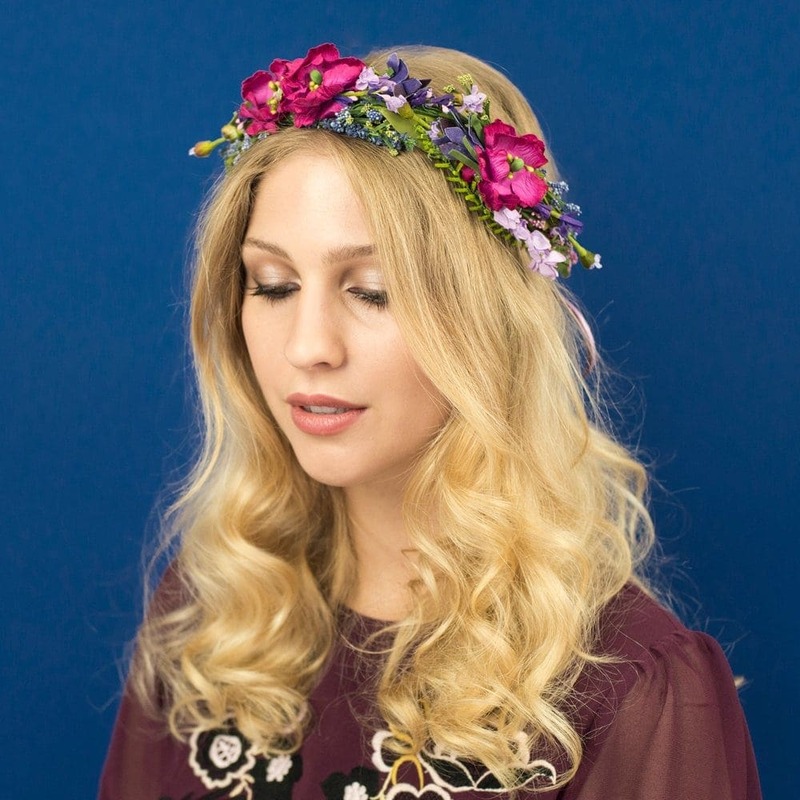 Whether subtle or statement, flowers tend to be the go-to decor item for most weddings. Don’t get me wrong, I love a venue filled to the brim with gorgeous, fragrant blooms, and there are some floral designers out there creating truly jaw dropping arrangements and installations. But what if flowers are not your thing at all? What if you can’t tell a daisy from a daffodil and have no desire to learn the difference? What if the thought of hundreds of petals leaves you cold (or makes you sneeze?) Or what if you’re looking for something that will be beautiful and equally good for the planet. Don’t panic! You’re not destined for a wedding devoid of pretty details. Here are some of my favourite suppliers, creating incredibly creative alternative bouquets and arrangements, without a fresh flower in sight. Want to find out more? Read on, and get ready to break the mould, and find the perfect take on your wedding flowers. 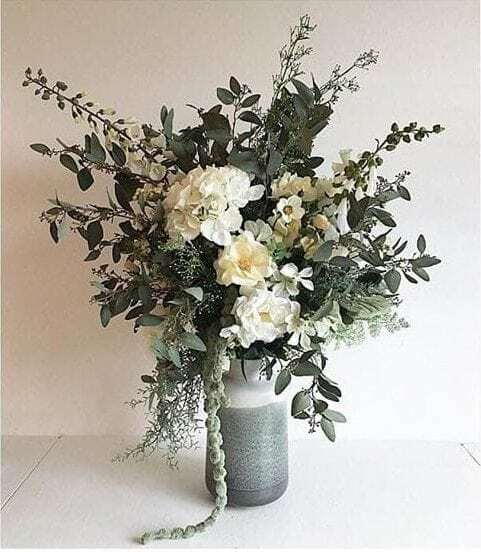 Love the look of flowers and foliage but not the idea of fresh ones that will be destined for the bin after the big day? 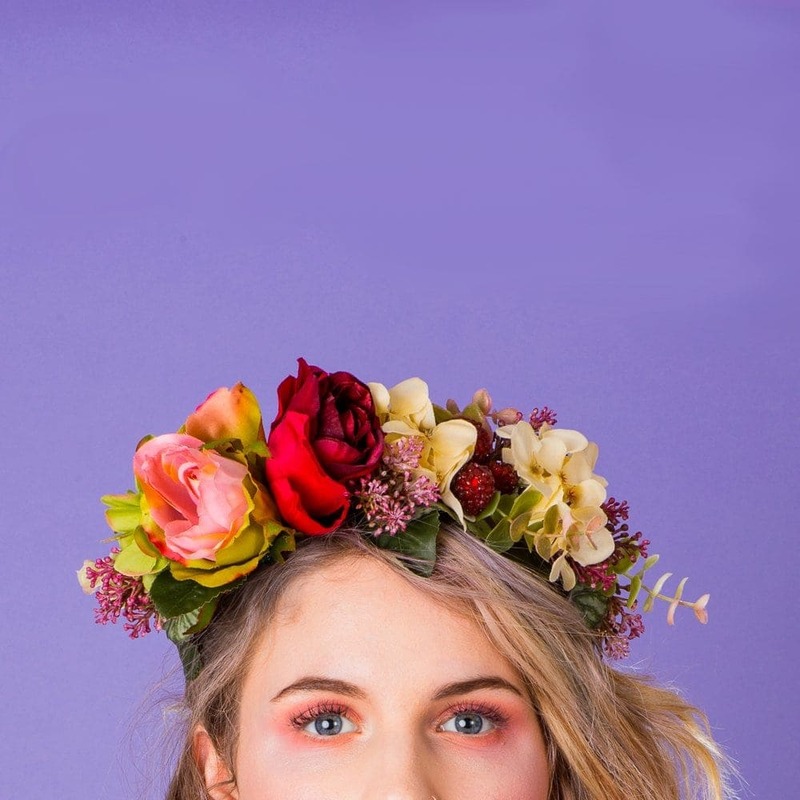 Friend of Faux have got you covered for your wedding flowers. 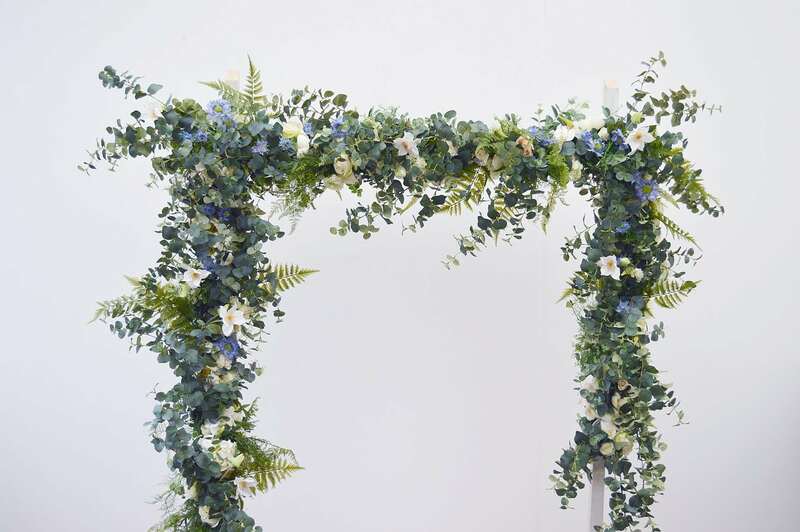 These stunningly realistic artificial garlands and arrangements are contemporary and elegant and can be hired by the metre. Cost effective, green, waste free and totally gorgeous, this business idea is fabulous and much-needed in the industry. 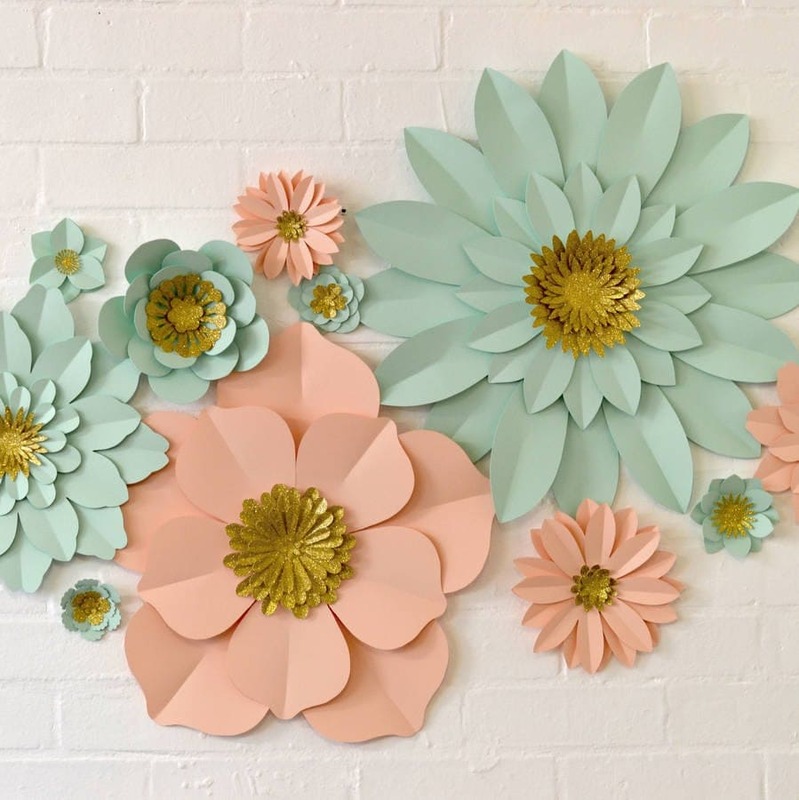 Fabulously talented paper artist Michaela specialises in beautiful paper flowers that make a real impact. 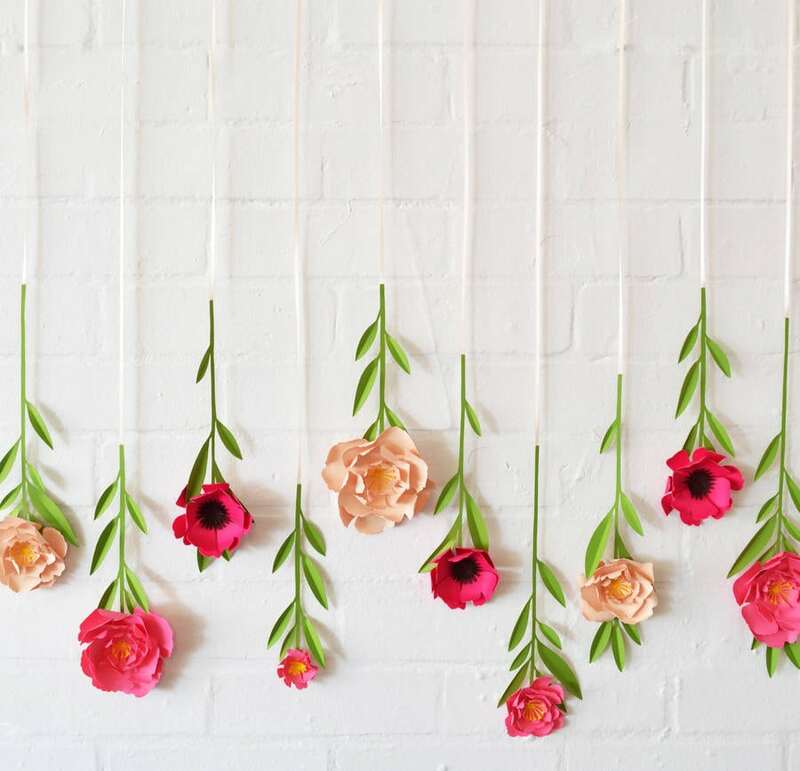 Perfect for statement venue decor, her hanging flowers and customisable paper flower walls add definite wow factor. 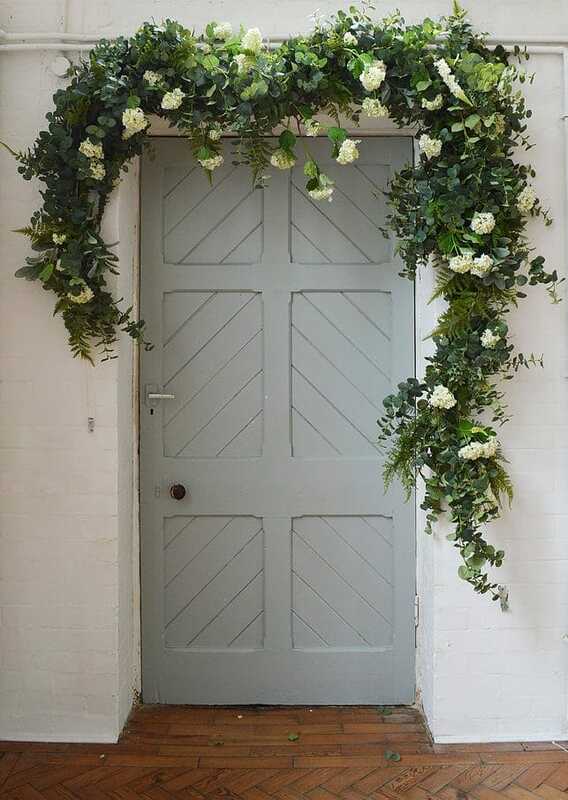 I love the modern, edgy shapes of her flowers – perfect for blank canvas wedding venues from marquees to warehouses and beyond. This husband and wife team are a creative powerhouse. Using felt, origami, buttons, brooches and anything else you can think of (comic book pages or rainbow plastic dinosaurs, anyone?! ), Jamball design amazingly creative and totally bespoke bouquets. I am such a fan of these – they’re quirky and kitsch and the colours pop beautifully in photos. 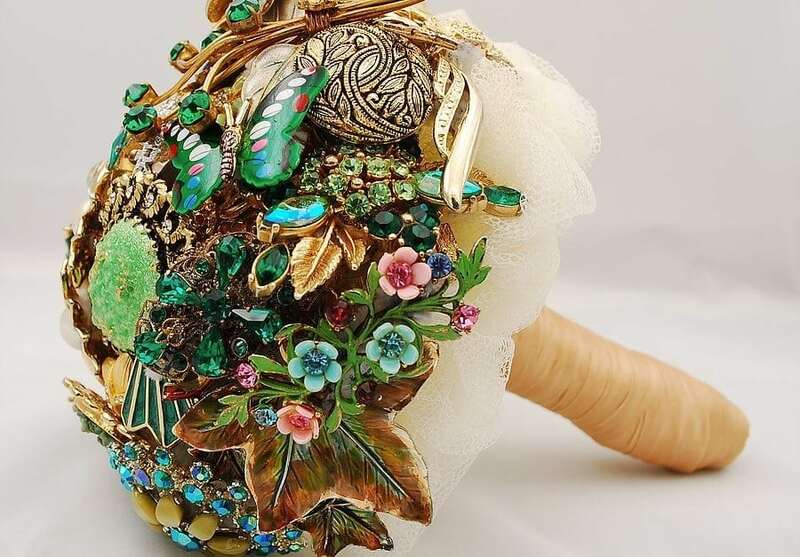 With homages to Dr Who, Harry Potter, The Beatles and Walt Disney among their collection, these unique alternative bouquets make my inner geek very happy indeed! 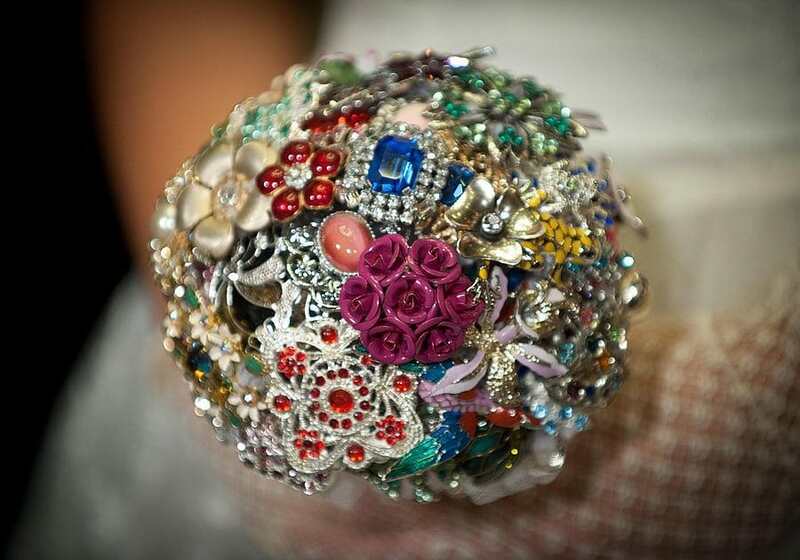 For an alternative bouquet with some vintage flair and a healthy dose of bling, why not go for a brooch bouquet? These beautiful examples from Nicola Garrett appeal to every sparkle junkie. 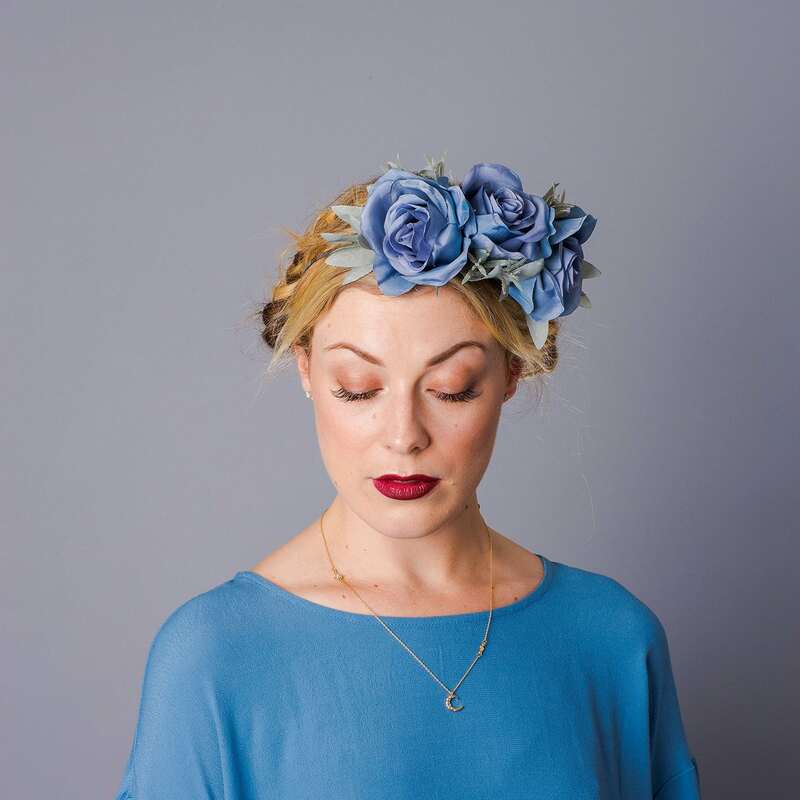 I love that her bespoke pieces can incorporate brooches of your own, or from family members. The finished bouquets make stunning keepsakes from your day, and will last for ever. Imagine this becoming the ‘something old’ for a wedding of future generations – it’s a beautiful heirloom to pass down. I hope this selection has inspired you about your wedding flowers, and if there’s still a drop of tea left in your cup, go take a look at these amazing wedding dresses and wedding cakes. Remember, it’s YOUR day, so break the mould a little and do it your way. If in addition, you’re on the lookout for creative, out-of-the-box photography to capture your wedding day, then find out more about my work or head straight on over to my contact page and let’s have a chat.